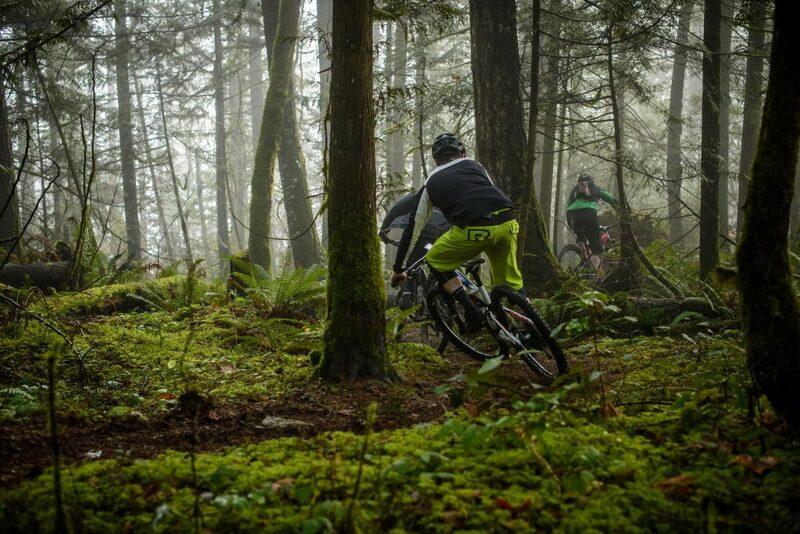 Over the past four weeks the Fraser Valley Mountain Bike Association has been conducting a survey with the intent to determine what you, our members, want out of our trail systems. We are sharing a summary of these results to allow our members to compare their response and wishes with that of their peers; as an organization we will use these results to help direct future trail work. 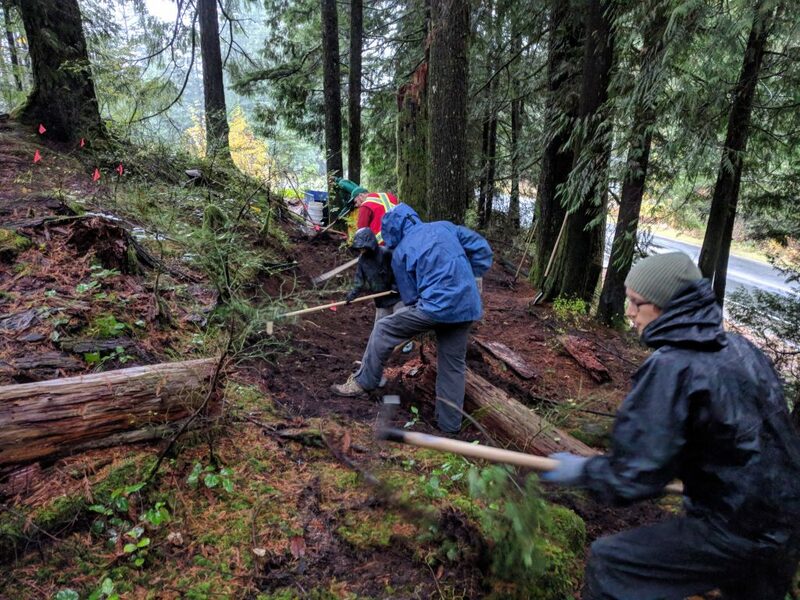 For instance, FVMBA can throw its resources at a black diamond run on Sumas Mountain that is loaded with skinnies but if the majority of our membership would prefer to see a single track climbing trail on the hill are we, as a board, doing the best job that we can with our limited resources and volunteer hours? We also understand that we can not make everyone happy but we can do our best to try. It is important to note that our mission is “Building a culture of inclusive mountain bike communities and sustainable trail networks” and our vision is “Thriving trails and communities.” We highlight these statements as sometimes that trail you want is not sustainable whether it is due to potential erosion problems or just a lack of people riding it. Also, an inclusive and thriving community is one where all abilities have access to sustainable trails that keep the most experienced rider happy but also offers plenty of opportunities for new riders to come into our sport and develop their skills. While we all want to challenge ourselves we need to encourage new riders into our sport whether it is your young child you are teaching or your co-worker who is looking to get outside more. You are reading this summary as you are passionate about mountain biking and the trails and it is a great gift to pass that along to others. We received 285 responses to our survey with the vast majority of those responses coming from members. Most of the responses also came from the mountain biking community with a handful from our supporters who prefer hiking or trail running. All age groups were well represented as were all regions of the valley with each area receiving 60-70 written comments; we can honestly say these were mostly positive. When responding to the questions around the quality of the trail building and trail maintenance we also saw generally positive results across all regions. So, what are you looking for in our trails? The requests were pretty consistent across all regions which make this summary much easier. To the question “what type of trails would you like to see more of…” it was across the board that the highest responses received were for more Fast Flowing Trails as well as more Natural Single Track Trails with the difference between the two being around 5 votes in most regions. When asked “what types of trails do you feel are missing from your area?” the responses were more muted which may indicate why there were no real “winners;” on Vedder for example the responses received were a quarter of the prior question and it is hard to argue that FVMBA was given a mandate here. There was one eye popping outlier in regards to the number of responses received to the questions “what you want to see more of” and “what is missing…” and that was for a single track climbing trail on Sumas. Regarding the topic of “your top priorities for improvement of trails” the responses were once again consistent in all regions that you want us to repair erosion problems, repair muddy trails and add more natural technical difficulty/features to the trails. In the comments sections the responses were varied with everything from requesting an “Epic Loop in the Chilliwack alpine” that can rival Into the Mystic and Lord of the Squirrels (trust us, we want that too, but we can’t forget time and resources) to more beginner and family friendly trails as well as jump trails and connector trails. In response to the questions that were not focused on trails we saw a demand in all regions for more social rides as well as some “Fiver” Enduro Races with less demand for “Fiver” XC Races and even less demand for “Fiver” DH Races. We also asked for your opinion on the proposed gondola in Bridal Falls and while 52% of the respondents were not aware of the proposal almost 92% of respondents stated that FVMBA should get involved to push for more mountain bike accessible trails if the gondola were to get approved. So, there you have it, a summary of what you, our members, are looking for on the trails in our regions. As a board we will use these results to guide us on future trail days and planning but what can you do? 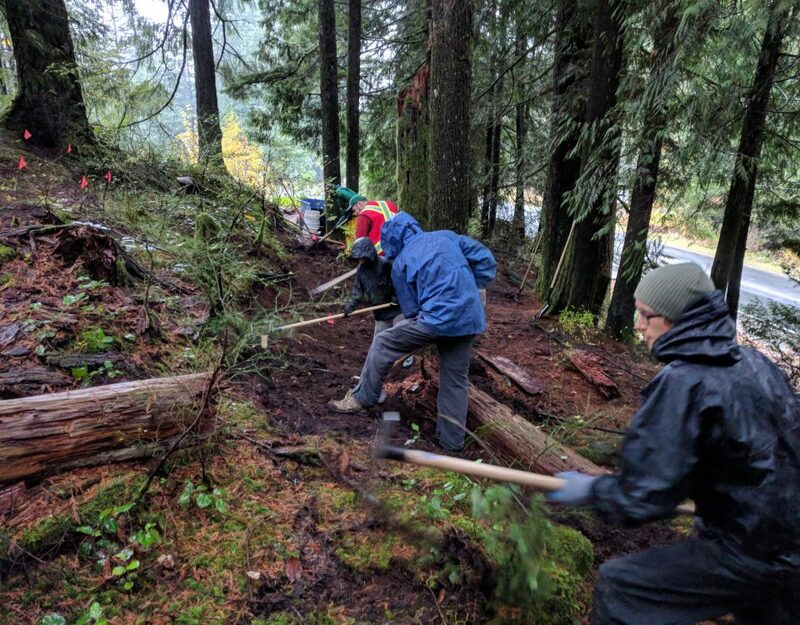 Come out to your local trail day and help fix those erosion problems and muddy spots so our builders can spend more time building and less time fixing. Don’t have the skills or tools? Don’t worry, we can supply the tools and guide you with the skills, just reach out to us. 2019 is fast approaching so don’t forget to renew your membership as we use membership fees to buy the tools our builders use and train our up and comers. Own a business? We have a great corporate sponsorship program, reach out to us and we would be happy to tell you more. Thank you to all who took the time to respond and for being involved and thanks to all our current members and sponsors for your continued support. Brand new member just checking out the terrific web site.